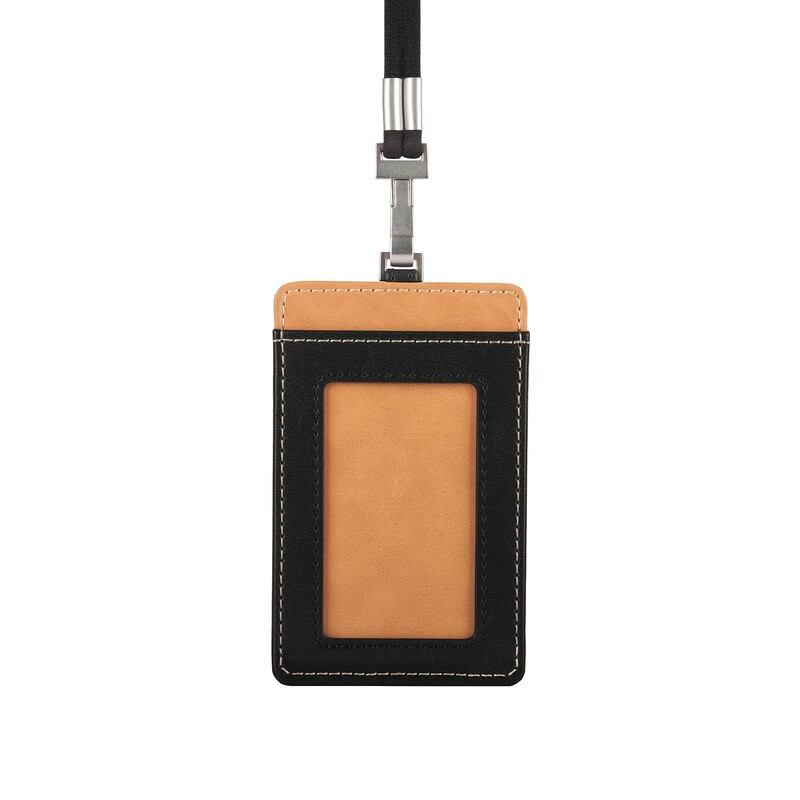 A premium badge holder made of soft vegan leather with front viewing window, and rear slot for business cards. 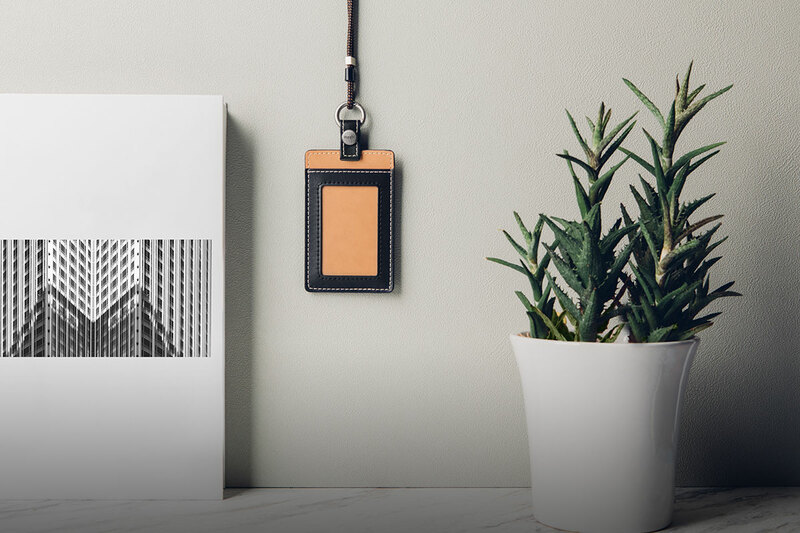 Crafted from soft vegan leather with premium metal accents to add personal style to your professional look. Slide your badge or ID in the front window and carry an emergency business card in the rear slot. 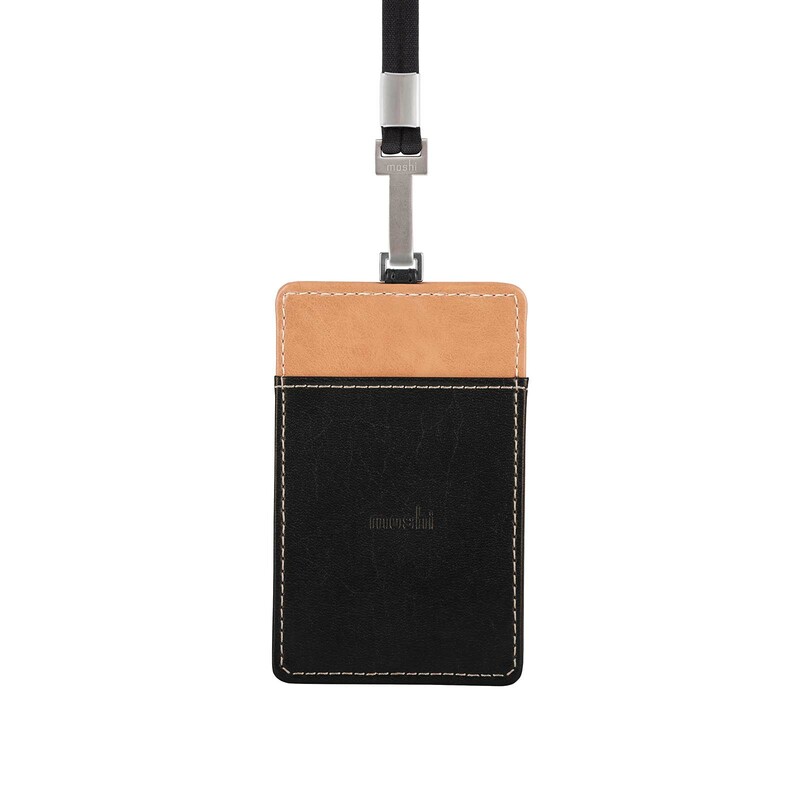 The lanyard adjusts to different lengths for a customized fit. 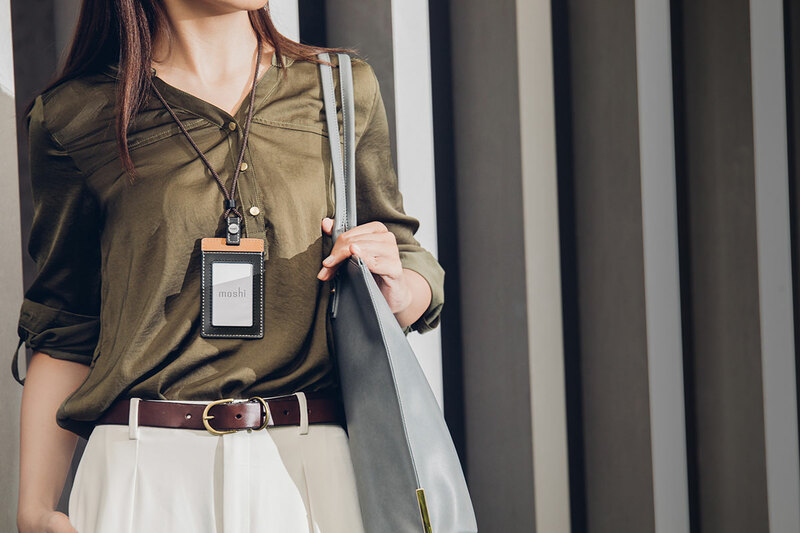 Wear it around the neck or detach the lanyard if you prefer carrying your badge in your pocket. 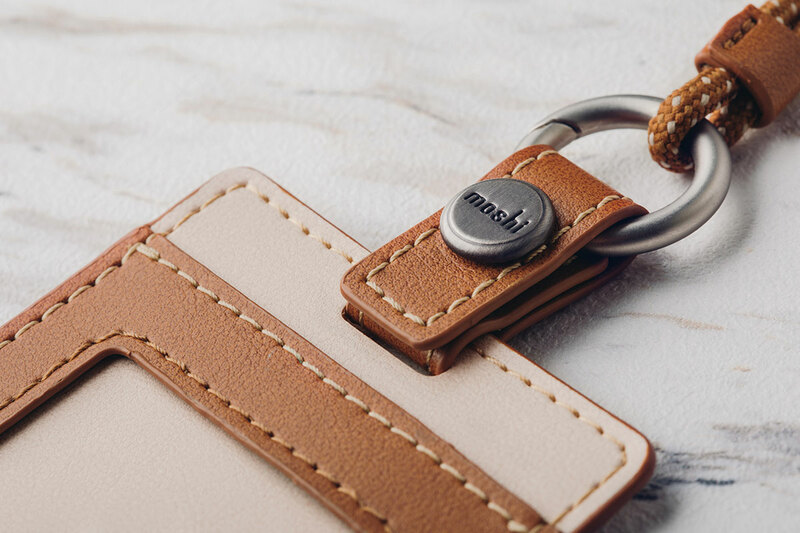 Trimmed with stylish light-colored stitching. 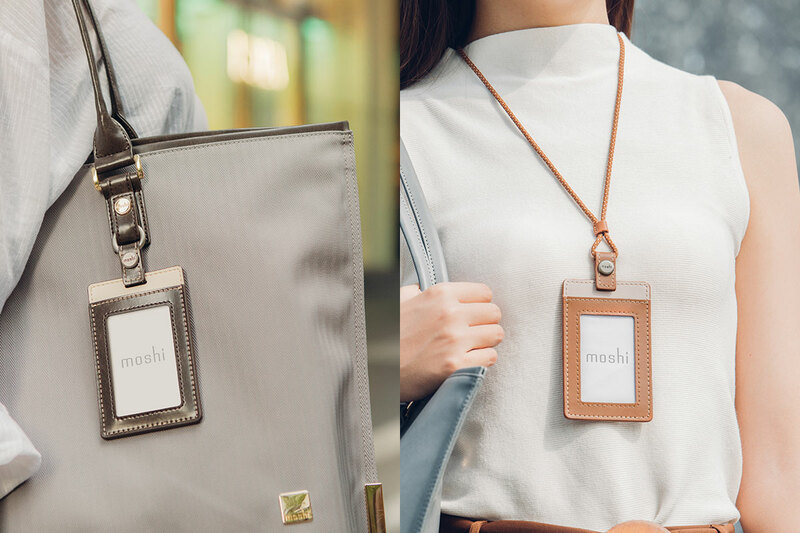 Moshi's Badge Holder is perfect for the sophisticated worker seeking to carry their ID badge or access card in style. 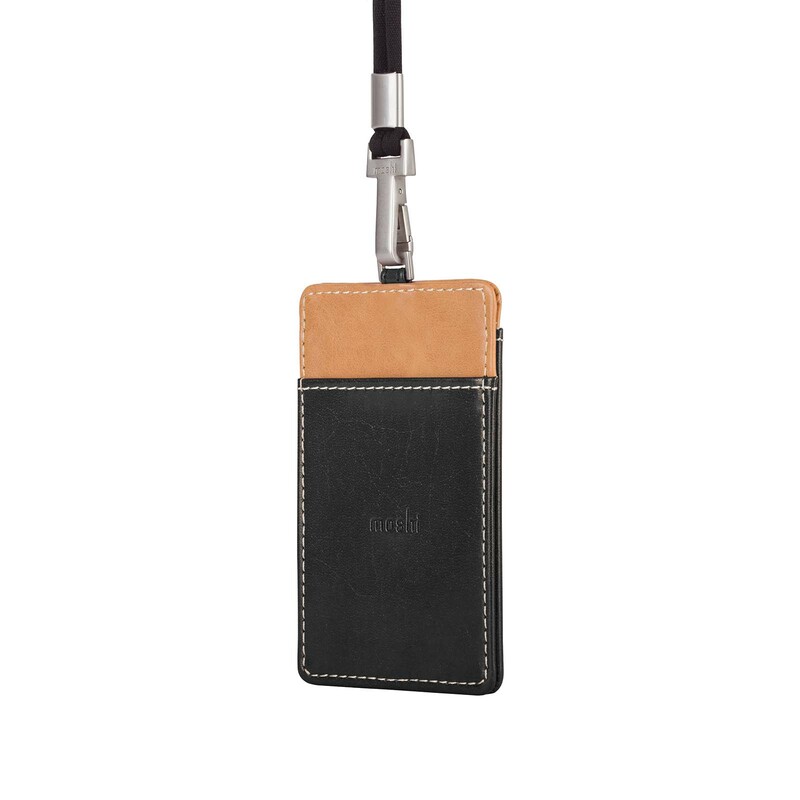 It is made from soft vegan leather and features metal accents to give it a premium look compared to plastic badge holders. 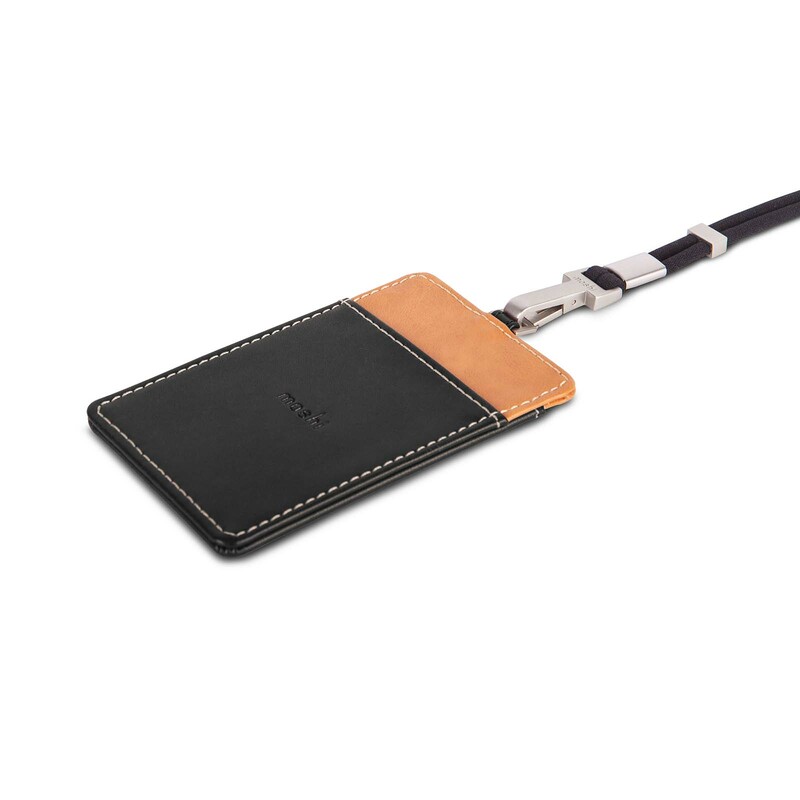 The neck lanyard adjusts to accommodate different sizes and detaches for added convenience. 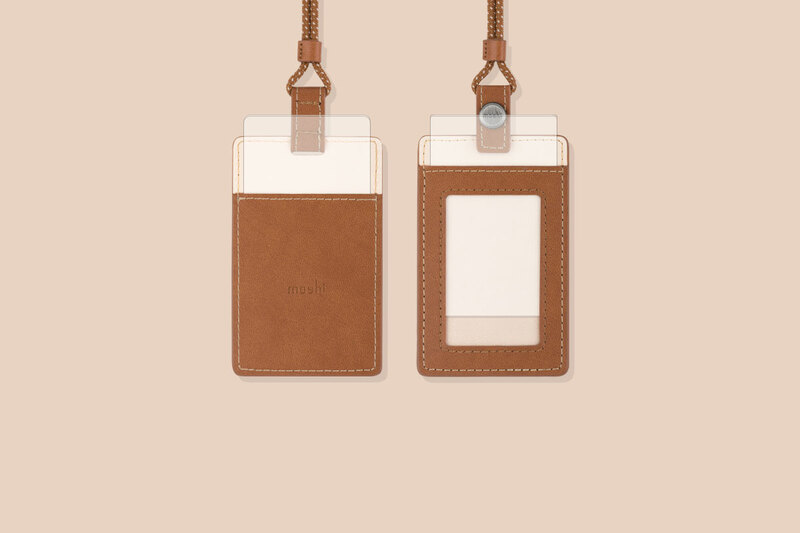 The front window allows you to slide in your badge/ID while a rear slot is included for storing business cards.